There are 1 cat videos tagged with colonel-meow. 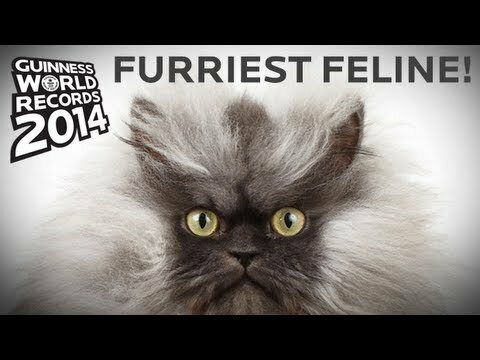 Colonel Meow was the Guinness World Record holder for longest fur on a cat in 2014. He was a Himalayan–Persian mix and had a perfect scowling face. Sadly he passed away from heart issues in early 2015. His record was 22.87 cm (9 inches) which has now been surpassed by a cat named Sophie whose tail hair measured 25.68 centimeters (10.11 inches) at its longest point.